Lying on the northern edge of the Congo Basin, the Central African Republic (CAR) contains vastly different ecosystems, with dry savannah landscapes in the centre and north, and lush tropical forests in the south. These forests contain some of the most abundant wildlife in Africa including forest elephants, bongos, lowland gorillas and chimpanzees. 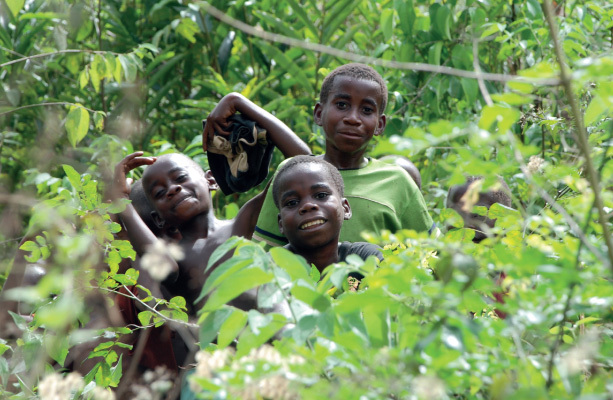 The forests in the south-west are inhabited by the indigenous Bayaka, who to a large extent depend on hunting and gathering for their subsistence, alongside other forest-dependent Bantu communities. There is endemic discrimination against indigenous peoples, sometimes resulting in forced labour. The state has allocated the vast majority of the south-western forest to timber operations and protected areas. To date these areas have been managed with the limited involvement of local and indigenous communities, reducing their ability to access traditional lands and resources on which they depend. There are roughly 22 million hectares of forest in CAR, of which five million is rainforest.